Flag Football's Origin | Post on Football. Flag football has been the fastest growing youth sport for the last few years, and it doesn’t look like that will slow down any time soon. Despite it’s popularity, many people don’t know flag football’s origin – the U.S. Military. 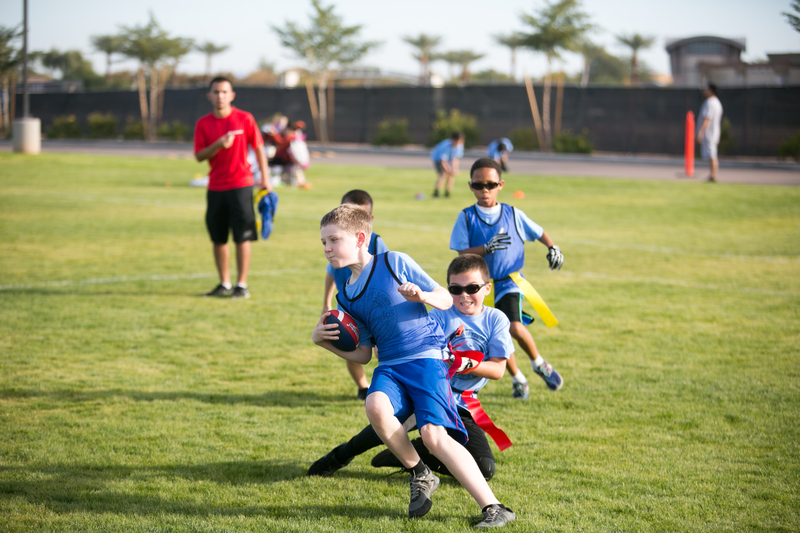 The early appearances flag football as we know it date back to around the 1930’s and 1940’s. The popularity of American Football had already been established before WWII, and the military couldn’t send soldiers to battle with nagging football injuries, so flag football really took hold on military bases overseas. When the soldiers returned home, they brought the sport with them, and the first leagues began to take root. By the 1960’s, the National Touch Football league was formed, proving that touch & flag football had arrived. Soon after, flag football became a staple on college campuses, and remains so with flag football being one of the most popular intramural sports among students. Today, flag football leagues are just as, if not more, popular as tackle football youth leagues, and semi-pro leagues including the professional AFFL (American Flag Football League) and the USTFL (United States Flag & Touch Football League) have been established across the country. < Try Everything This Summer!